The SDWA.01 dual-band SMT ceramic antenna is an embedded, high efficiency, high peak gain solution for Wi-Fi 802.11n and other ISM band applications which require highspeed data rates and wide coverage areas. Designed for the 2.4 GHz and 5 GHz bands, the antenna delivers a peak gain of 3.5 dBi and 4.2 dBi, respectively. The antenna features excellent efficiency > 70% in both bands. It is designed to perform optimally mounted in the corner of a device PCB. 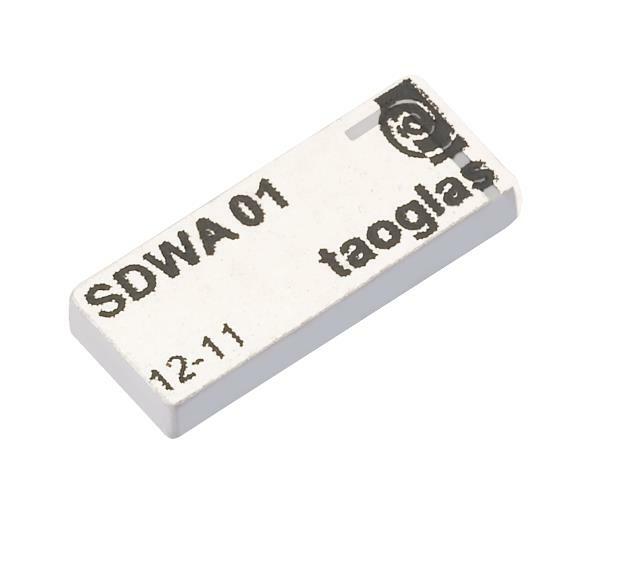 Two SDWA.01 antennas can be used for MIMO applications. The antenna's low profile, at only 1.5mm, allows for use on extremely thin devices while still maintaining excellent performance characteristics. This antenna is delivered on Tape and Reel for SMT application.